For many web agencies and web designers that provide website services to a number of clients, the need for finding a CRM for web designers and for this reason a better way to manage their customers is necessary. Exai Website Builder has developed a CRM for web designers that is fully customized and integrated into its CMS system so that Exai Partners can manage their entire workflow from one place. 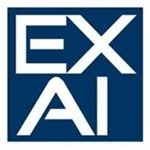 Based on the question of many web designers and web agencies as to “What CRM should be used to manage a web design business?”, Exai expanded their set of features to cater for this important need. Now, you can build, host and manage websites using Exai's CMS Web Builder. Some of the most critical issues for web agencies include financial management, email marketing, and technical website management. We consolidated all items into one solution via a Web App that comes at no extra cost for the Exai's partners. Streamlining workflow from building and designing websites to billing customers and running email campaigns can be run easily and conveniently. There are no special customizations that have to be done or technical integration. Financial Management - A better way to bill your clients. Built-in automated central billing system to manage cross-border payments and any credit card. Reach more people around the world by offering local payment methods for recurring website charges. Email marketing - Send out a single event or date-based e-mails and service mails. Create mailing lists for groups of recipients. A better way to build websites for your clients - A Website CMS that gives you all the features and functionality to build beautiful and functional websites. Permission-based system allowing your clients to edit their website based on permissions the partner sets. Exai’s partner program provides you with all the tools and supports you need to run your own CRM for web designs and to become a true leader in the Web Building Industry. Become a leading agency now! Exai is made to allow users to build a website and add content to it easily to their website. We offer the ability to set permissions for other users of your website to safely work on any page or article, without disrupting the page design or losing original content. All websites built on Exai are already mobile friendly. You can modify the mobile version and make changes to give your mobile users a unique user experience. The mobile version is maintained by us as well, at no extra cost. Involving a web designer or SEO expert is easy when you're using Exai. Our design and marketing team are available to hire. We provide excellent and cost-effective services, that will help you to leverage better assistance and save precious time.